The arrival into power of the Juncker Commission in November 2014 crystallized many hopes, after several years of crisis. Depicted as the ‘last chance Commission’, promising to be ‘big on big things’ and to ‘break silos’, the new Commission has not skimped on communications to show everyone that it would bring a new era in Europe. It is now time to check whether all this was mostly empty words and communication strategy or if the Juncker Commission really changed policy-making in the EU. After only a bit more than a year in power, I believe that it is too early to assess the real effect of the Juncker Commission’s policies on growth and jobs, but we can already have a look at what new policy-making instruments have been introduced since November 2014. ‘Breaking silos’, or ‘adopting a holistic approach’… Nowadays, you hear these expressions in every conference in Brussels. Be it to reduce CO2 emissions of trucks or to put in place a digital single market, everybody agrees that a holistic approach is needed and that it cannot be achieved if the work of the Commission is compartmentalized. In this regard, Juncker’s reorganization of the Commission in project teams can be seen as a good move. At first, the creation of seven Vice-President positions might have been perceived as another way to deal with the ‘one commissioner per Member-State’ problem, but it turned out to be a good way for the Commission to move towards this comprehensive approach everybody is calling for. On many topics, ad-hoc Commissioners teams are slowly starting to form. On smart cities for example, 12 Commissioners and Vice-Presidents are working together, which is a good sign that the silo mentality is slowly decreasing within the Commission. However, it is important to make sure that this collaborative way of thinking does not only concern Commissioners level but also reaches the associated DGs. In addition to breaking silos, Jean-Claude Juncker claimed that his Commission would ‘be big on big things’ and ‘do more with less’. To keep this promise, the new Commission has built on the work started by Barroso with the REFIT programme and has taken it a step further. Slowly but surely, the Commission has strengthened existing processes. For instance, it has systematized the consultation of stakeholders prior to the publication of any new proposal as well as the evaluation of EU policies. As a matter of fact, we have seen a clear shift during the last 18 months: the Commission puts a lot more energy in strategy documents, roadmaps and evaluation, while reducing drastically the number of legislative proposals it publishes. Between 2010 and 2014, the Commission proposed 130 new texts on average, whereas in 2015 the Juncker Commission reduced this number to 23! In parallel, new instruments have been brought forward. The most symbolic measure in this regard has been the creation of a First Vice-President dedicated to better regulation. Since he arrived in this position, Frans Timmermans has done more than supervising the slimming course of the Commission work programmes: he has also accomplished the feat of convincing the European Parliament and the Council to commit to perform impact assessments before proposing significant amendments to Commission proposals. This new practice is a great progress and I hope it will be used to anchor EU legislation in science, theory and rationality… but it has to be used with caution in order not to slow down an EU legislative process already quite lengthy. The First Vice-President also set up a promising platform bringing together various stakeholders with the task of proposing concrete ideas to simplify EU legislation. The work of this platform will be fuelled by the ideas sent by EU citizens and businesses via the online tool ‘Lighten the load’. We will be able to see whether this platform has the means to achieve its ambitious goal in the end of June 2016, when it will publish its first set of recommendations. The Juncker Commission has also worked on the lack of transparency of the EU, proposing several measures to address this issue. As a result, if you want to meet a Commissioner, a member of cabinet or a Director General of the Commission nowadays, you have to provide your transparency register number and you will see your name published on the Commission website. 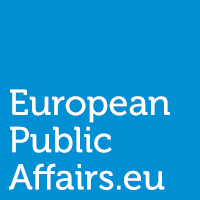 This initiative, in addition to boosting the number of companies signing up to the transparency register and disclosing their lobbying information, is also a good way to give the media (and the few citizens who are interested in the Commission’s activities) a better visibility on who has the best access to top Commission officials. One year after the last reform of the register, the Commission now wants to go to the next level and has launched a consultation with the aim of improving the register and extending it to the Council. Besides, the Commission does not only try to be more transparent regarding its meetings with lobbyists but has also slowly started to extend these efforts to some of its activities traditionally quite opaque, such as trade. The strong popular opposition on TTIP has convinced the Commission that it was necessary to show clearly to the citizens what the negotiations were about. This is why DG Trade now publishes on its website parts of its negotiations documents. It has not been enough to calm the uproar against the transatlantic agreement, but it has at least introduced a change in mentality within the Commission. After a bit more than a year in power, we can already see that the Juncker team has brought some important changes in the policy-making style of the Commission. The diagnosis had already been made under Barroso: not enough transversal work, too much red tape and not enough transparency. However, the new Commission has introduced some promising instruments to address these challenges and we can hope that this will quickly translate into an improvement of the quality of EU policies. Jean-Claude Juncker has managed to avoid the elephant in the room:- Germany has become too powerful for the EU and now that it has a mentally ill chancellor who wants to flood the EU with a horde of freeloading Syrian migrants who are looking for generous social welfare and easy treasure it is actually threatening the EU’s continued existence. Every time Germany has a mentally ill chancellor Europe has existential problems and although Angela Merkel is no Hitler she is bad enough. It’s time to temporarily suspend Germany’s membership in the EU until either Angela Merkel resigns voluntarily or is impeached and removed involuntarily by reason of mental illness and incapacity to properly perform the duties of her role as Chancellor of Germany. Perhaps we should also insist that Germany must downsize a bit by letting Bavaria become an independent member-state of the EU, they’ve been trying to escape from the clutches of Berlin for ages. As for Jean-Claude Juncker, if he does not stop being Angela Merkel’s personal lackey-boy in Brussels then perhaps it’s time to oust him as well.